Since Spider-Man: Into the Spider-Verse hit theaters last month, fans of the film have been sharing their #spidersona on social media. These creations often imagine the artist as a Spider-character. Many pros have gotten in on the fun as well; here’s a collection of a few we’ve noticed. You can check out more — many, many more! — on Twitter and Instagram. The team gets a D&D-esque makeover courtesy of Jim Zub, Sean Izaakse and Max Dunbar. Remixing superheroes with different genres is a staple of the artform; who can forget Kurt Busiek and George Perez’s classic “Morgan Conquest,” which saw the Avengers recast as knights of the realm? It looks like the Champions will get their day in the sun as well, so I hope that armor breaths. Ms. Marvel and company will head to Weirdworld in issue #25 to save a couple of their teammates, courtesy of Jim Zub, Sean Izaakse and Max Dunbar. The duo discuss how the Kickstarter campaign is going, what to expect from the series, some news on back-ups and more. 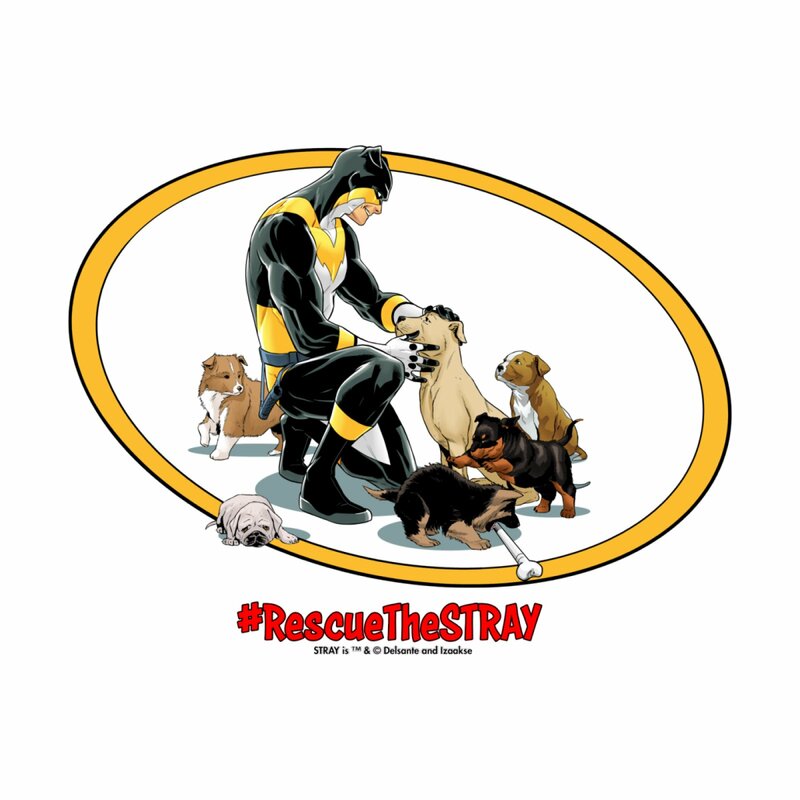 After funding a miniseries featuring their independent superhero character in 2013, Stray co-creators Vito Delsante and Sean Izaakse returned to Kickstarter this month to raise money for an ongoing series. They reached their goal fairly quickly, which is when the real work began. The story focuses on Rodney Weller, the former teen sidekick to the superhero known as Doberman. When his mentor is killed, Rodney returns to action after five years to solve the murder as Stray. In addition to the miniseries, Stray also appeared in Action Lab‘s Actionverse crossover series with Molly Danger and Midnight Tiger. Joining the creative team for the first arc is artist Phil Cho. As the first arc takes place in both the past and present, Cho will draw the flashback sequences while Izaakse will draw the present-day story. Writer Vito Delsante and artist Sean Izaakse raise money to publish a new series starring their independent superhero creation. The team behind the independent superhero comic “Stray” returned this month with a new Kickstarter for a new ongoing series, and a new, additional artist for their first arc. With their Kickstarter funded in a couple of days, now they’re adding several additional stretch goals to the campaign. 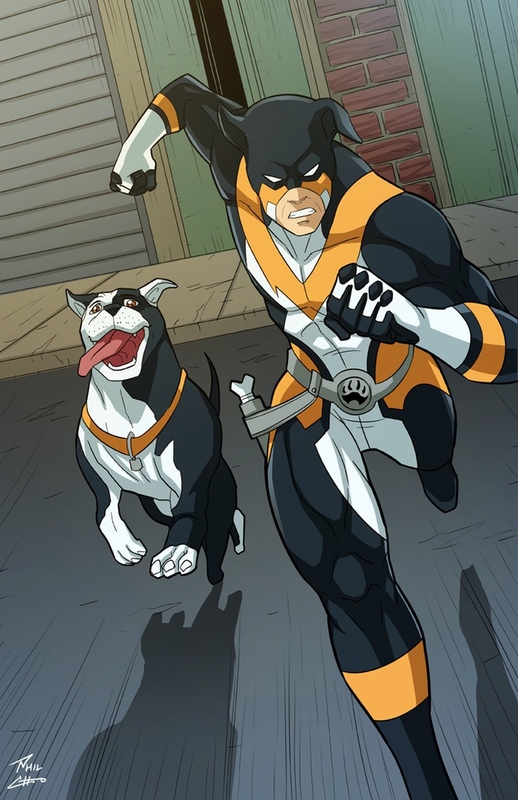 Writer Vito Delsante and artist Sean Izaakse funded a “Stray” miniseries through Kickstarter back in 2013, which eventually ended up at Action Lab Entertainment. The story focuses on Rodney Weller, the former teen sidekick to the superhero known as Doberman. When his mentor is killed, Rodney returns to action after five years to solve the murder as Stray. In addition to the miniseries, Stray also appeared in the “Actionverse” crossover series with Molly Danger and Midnight Tiger. It’s kind of to “Nightwing” what “Invincible” is to “Superboy” — and I mean that in a good way. Joining the creative team for the first arc is artist Phil Cho. As the first arc takes place in both the past and present, Cho will draw the flashback sequences while Izaakse will draw the present-day story. Read more about the book and their stretch goals on Kickstarter. In addition to the campaign, Delsante and Izaakse have also created a shirt featuring the character to benefit the StubbyDog organization.